Gone are the days when you had to spend good ten minutes explaining to your friends how to get to your place, or a new bar, or a little cinema in the Latin Quarter. Explaining to people the whereabouts of some new place may be a daunting task, especially if they are topographically dumb. 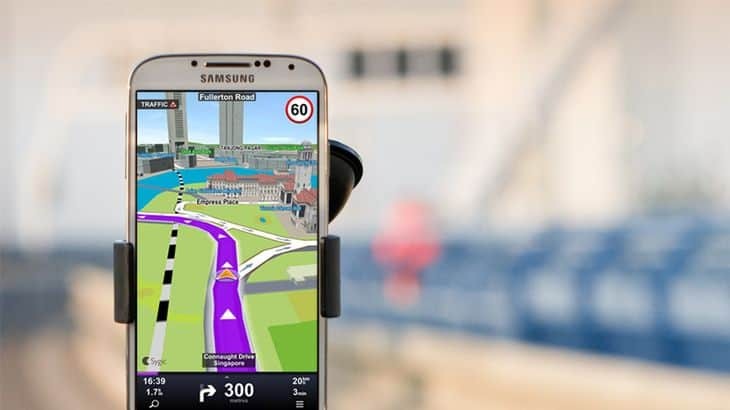 Thankfully, now we have smartphones at our disposal 24/7; they go wherever we go, and they always know where exactly we are through their in-built GPS systems. So, why not use that capability to pinpoint your location for your friends to be able to find you without any unnecessary hassle? Knowing some basic functionality of your smartphone, you can share your GPS coordinates right from your iPhone. We will explain how you can do this from your iPhone, as well as include a couple of nifty apps that will help you complete the task on your Android phone. Go to Settings app and make sure the Location Services is ON. Settings -> Location Services -> ON. Expand the Location Services and make sure that the app Compass is turned ON. You will see your current GPS coordinates at the bottom of the screen. You can now share them with your friends via text message, email, or any other method of your choice. Google Maps is one of the obvious choices when it comes to location pinpointing. Besides, anyone can use the service irrespective of your smartphone’s OS, be it iOS or Android, or any custom ROM. In Google Maps, you can share a particular location without physically being there; which is a lot more convenient that using your current GPS coordinates, if you are only planning a meeting with your friends in some near future. You can share a location’s coordinates by dropping a pin -> opening the Details menu at the bottom of the page and -> tapping “Share” option. Voilà! Now, you can choose how you’d like to share those coordinates. You can choose to send an email, text message or push that location directly through your car’s GPS system. iPhone, iPod and iPad users can do just the same by opening the Google Maps website in the browser. Then, you just double-tap on a location and choose “What’s here?” button. iPhone users can use Apple Maps to share locations and pins. If you tap the Info button, the lower right corner of the screen, you will see a menu with the “Share” option. There, you can attach your location to a text message, or share it via Facebook or Twitter. There are plenty of third-party apps designed to help you share your pins and current coordinates in an easy and streamlined manner. Glympse is one of the best options because it has apps for both iOS and Android. The app is very simple – your recipients just get a link they need to tap and see your location. You can send the links via text messages. Email, Twitter and Facebook while your friends can see your location provided they have access to Internet on their devices. Another neat cross-platform location-sharing app is I’m Here, which lets you share your current location in real time, as well as locations you want to mark on the map. The app is simple, reportedly secure, and has a built-in chat client, so you can even exchange messages with your recipient. You can send location requests to people who have I’m Here installed. One Touch Location is very similar to the previous apps, and it’s a nice alternative, too. It is also free and offers an intuitive interface. You can share your location or pin in the form of a Google Maps link, as well as use another interesting feature that allows you to explore interesting places nearby your pinned location. This app is a must-have for travelers, too. If, for some reason, you dislike the previously listed app, try Share Where from Google Play. It is also free and offers a neat interface. In Share Where, you send Google Maps link to multiple recipients. The app has a smart widget you can place on your home screen for quick and easy location sharing. This location sharing app come from Apple itself, and reading user reviews is enough to see how great this simple, yet powerful app is. Besides sending out your location, you can also invite people in your contact list, and after they have accepted your invitation, you can see their location on the map. You can share your device’s location temporarily with pre-selected groups of people. When you no longer wish to share your location, just tap to turn off location sharing. Android users and Hangouts devotees can share their location via text messages sent with Hangouts, which is indeed a very convenient and quick solution to the problem. iOS users can check out their SMS app and What’sApp – there is an option to attach a Google Maps link with your current coordinates to an outgoing message. This is quite a simple and painless solution. For some users, it may be a lot easier to download a third-party app to extract your GPS coordinates from your GPS service, rather messing around with their in-built GPS itself. GPS Coordinates and Location for Android does just the right job. With a super-simple interface, this app lets you share your GPS coordinates with your recipients. For iPhone users, iTunes Store offers GPS Location, which does the same thing. You can share your coordinates with your friends via text messages, email, Facebook or Twitter. There, we hope this list helps you choose the right method of sharing your current location or location pins with your friends and family. Let us know if we’ve missed a great app or tweak in the comments below.